Let’s say you are working on closing out your last renewal appeal evaluation. You’ve done all your calculations. You know your exact net income, average gift, and response rate. So now what do you do with this information? How do you know if your response rate is any good? First, do you know your response rates from previous appeals? By comparing historical response rates to your latest rates you can learn a lot about your appeal. Even if your organization has never taken the time to calculate response rates before, you might be able to figure it out retrospectively. You’ll need to know the total number of pieces mailed for each particular appeal as well as the number of gifts that were made in response. Sure, it’ll take some time, but it will be worthwhile to dig back and have some past information. Whoville Literacy Services mailed their fall renewal appeal to 2400 people and received 180 gifts, a response rate of 7.5%. They raised $9,360, which gives them an average gift of $52. Their previous year’s fall appeal, however, was mailed to 2200 people, had a response rate of 9%, but with an average gift size of only $30. Even though response rate went down, they raised more money because average gifts were way up. This was attributed to their list’s addition of 200 best deeply lapsed donors, a few of whom made larger gifts. What if you don’t have any historical data for comparison? What if your predecessor didn’t keep any records and you are starting from scratch? How do you assess your appeal’s performance in terms of how many people responded? On his website, Tom Ahern gives kudos to appeals that generated a 6.7% response, 13.28% response, a 7.9% response and a 9.55% response. The Direct Marketing Fundraisers Association recently awarded the best renewal appeal to a package with an 8.8% response rate. Mal Warwick in his book Revolution in the Mailbox says average response rates for renewal appeals are 6% – 12% when sent to active current donors. Alan Sharp says renewal mailing response rates should be around 5% – 35%. In my personal experience, my best appeals brought in an 11-12% response. I think it is safe to say that response rate for renewal appeals generally falls somewhere between an acceptable 5% and a really great 20%. Something on the higher end of the spectrum might be a letter mailed to your most committed donors. If you don’t yet have a history of your appeal’s stats, there’s no time like the present to get started! Just make sure you record it so you or whoever comes after you will find it next year! Another important way to use response rate is to evaluate by segment. By looking at different groups of donors you can evaluate which particular groups did or did not respond. Take a closer look at how your lapsed donors responded, as well as your current donors, and your most loyal current donors. Whoville Literacy Society (in the above example) should certainly look at the separate response rate for their deeply lapsed donor group to test their hypothesis (and give those who did respond an extra thank you call or a personal letter). 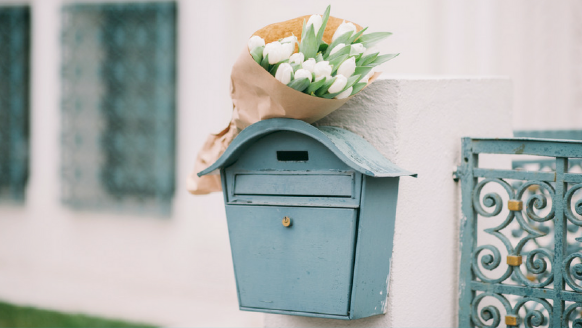 Discovering and understanding the point when your lapsed donors typically stop giving a return on investment in your regular mail stream can help save your organization money. That money can then be invested in your best donors. Please understand that we are talking about renewal appeals to current donors here and not acquisition appeals. You are going to get more gifts back from previous donors than you are from people who have never given to you before. Aquisition response rates fall more along the lines of under 1%. When you are measuring a fundraising campaign, perhaps a year end campaign that includes a follow up appeal, email and personal solicitations (rather than a solitary direct mail appeal) you need to evaluate each effort individually as well as a whole. So you’d have a response rate for appeal letter 1; appeal letter 2; email appeal 1; online gifts etc… Then, you’d also have an overall campaign response rate.